These are a few clippings of press we secured for our clients, please contact us for an extensive deck of samples of our work, or visit our Instagram for recent clippings. "And Pur-Lisse BB Tinted Moist Cream SPF 30 relies on chamomile and sugar maple to soothe redness, hydrate, and blur imperfections while it guards your skin's surface. Above, 10 BB creams that protect as much as they correct." "Susan Ciminelli, facialist, holistic health guru and the woman supermodels like Cindy Crawford, Linda Evangelista, Christy Turlington and Kate Moss trust with their faces, shares her rules for glowing, youthful skin and total body health." Do greasy foods really cause acne? 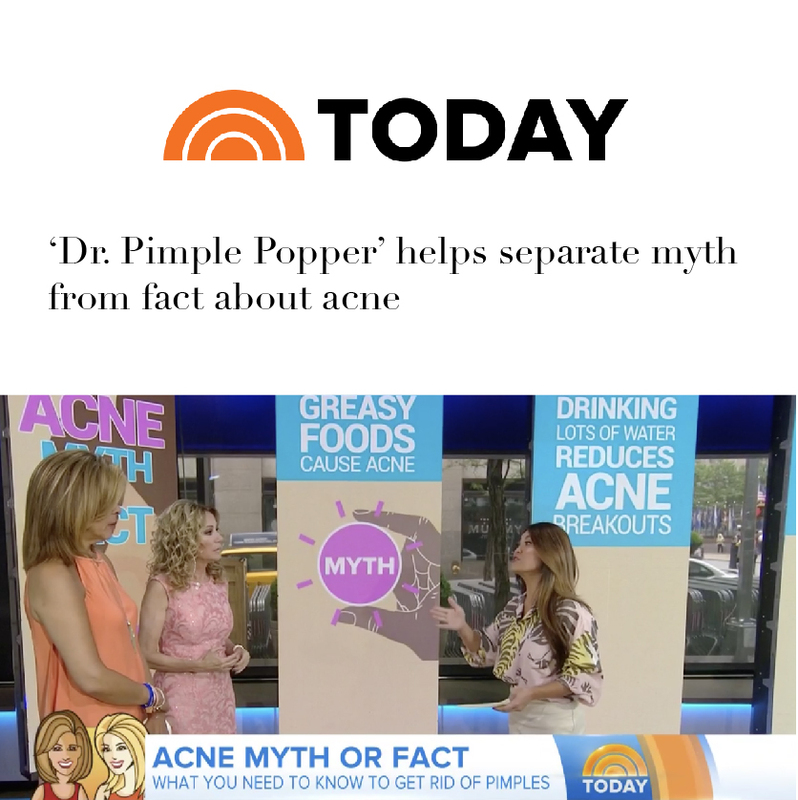 Kathie Lee and Hoda welcome dermatologist Sandra Lee – better known as “Dr. Pimple Popper” on YouTube – who explains what you need to know to get rid of pimples. For instance: She says greasy food will cause acne only if you rub it on your face!